"Yes, this is absolutely true." --Peter Mayhew responding on Reddit to rumors of requiring protection from Bigfoot hunters while in Chewbacca costume. 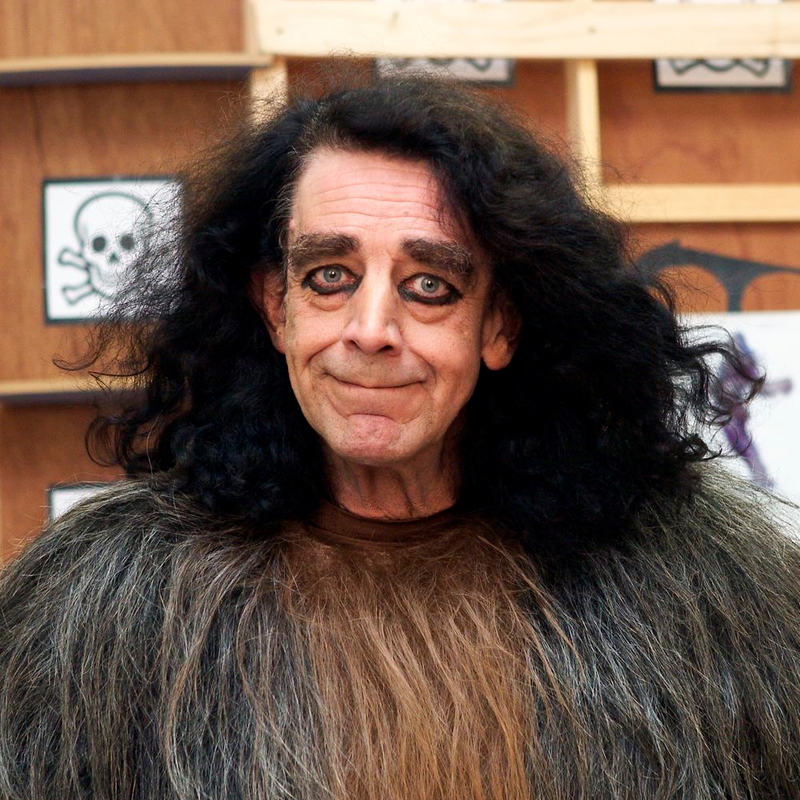 Peter Mayhew recently reprised his role as Chewbacca in Star Wars: The Force Awakens. On June 23rd 2015, someone posted on Reddit that Peter Mayhew required protection from potential bigfoot hunters while he was in the Chewbacca costume. [Today I Learned] Peter Mayhew (Chewbacca) was required to be accompanied by crewmembers who wore brightly-colored vests while in the forests of the Pacific Northwest filming scenes set on Endor, so as not to be mistaken for Bigfoot and shot. This is interesting, and definitely viral-worthy, but as a Start Wars nerd I'm pretty sure all the scenes of Endor were shot in Northern California (in the redwood Groves of Marin County and Del Norte County to be exact. Because of the discrepancy of location I have to admit I was a little leery of the this factoid. Digging deeper I did find a supporting story written by Sean Whitley on Cryptomundo. The following excerpt is from 2011 and retells a story of how the filmakers were concerned for Peter Mayhew's safety in Bigfoot's backyard. This is a little different than being surrounded by crew members wearing brightly-colored vests. No doubt the addition of being surrounded by crew-members on security detail makes the story a little more tantalizing. one of the best ways to find out would be from Peter mayhew himself and how would we get him to respond to such a trivial detail. Apparently Peter Mayhew has a confirmed reddit account and yesterday, June 22nd 2015, he was able to respond to the Bigfoot rumor. JDawgSabronas: Yeah, I'd love some confirmation straight from the horse's wookiee's mouth. Although the Pacific Northwest filming site is still in question as least we know Bigfoot hunters were a large concern on the set of filming Jedi and protection included not walking offset with the costume on and a squad of brightly colored crew-members. 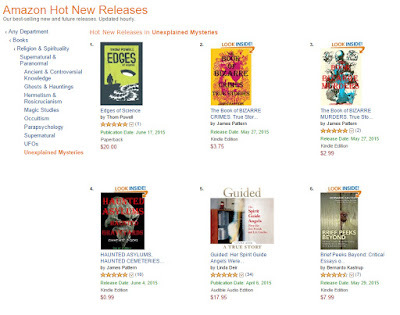 Author Thom Powell's newest book debuts as a #1 Hot New Seller on Amazon. Edges of Science currently tops the category of Unexplained Mysteries. It's not to late to order your copy of Thom Powell's Edges of Science. 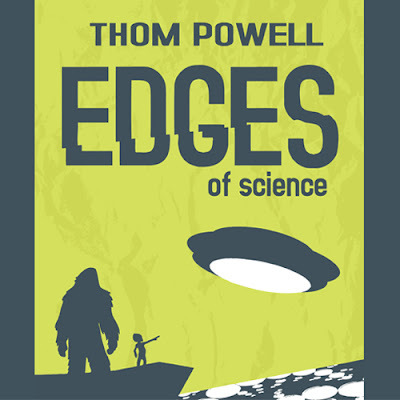 Edges of Science, Thom Powell’s third book, is an anthology of scientific mysteries that all relate to a central theme: the place of our Earth within a vast galaxy of stars, many of which are inhabited by sentient beings that are fully aware of Earth and well-meaning but sometimes inept humans that inhabit it. Thom is a career science teacher who has researched and reports on a plethora of scientific mysteries that are much more related to each other than they first appear. UFOs, crop circles, ancient pueblos, earthen mounds, sasquatches, and lake monsters are just some of the mysterious phenomena that manifest themselves occasionally on Earth and suggest something of profound importance that is going on at the Edges of Science. Don't forget to visit Thom Powell's Official Website for more information and to learn about his other two books; The Locals and Shady Neighbors. Bigfooters! Don't Miss This One-Day Deal!! ONE DAY ONLY!!! Sunday June 21st! You can buy the Kindle version of Thom Powell's much-anticipated book for only $1.99! The paperback version will be available at Amazon.com beginning on June 22nd, but the one day special price is being offered for the Kindle version as a campaign intended to elevate the first day sales total. Achieving a sky-high one-day sales total will make Edges of Science eligible for some much wider publicity. This is a profoundly important and well-written book that needs to be read by anyone with a curiosity about the paranormal world that surrounds us all. 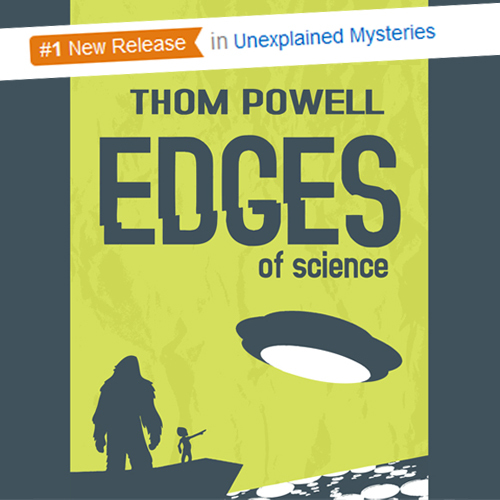 Please help make Thom Powell a best-selling author by purchasing a bargain-priced Kindle copy of Edges of Science on the release date of Sunday June 21st. Don't own a Kindle reader? All major brands of smart phones have a free app that can be acquired through the app store that will enable you to read Kindle files on your phone. You can have the whole book on your phone. Even if you prefer the paperback and never get around to reading the Kindle version,, buying the Kindle file for TWO DOLLARS will be a hugely helpful toward making Edges of Science a potential best seller. 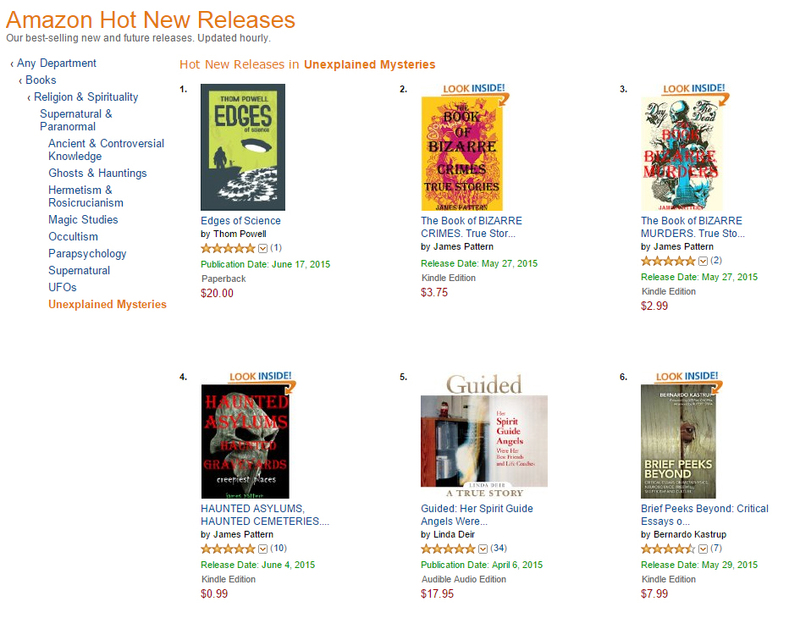 Please help elevate the first day sales by buying a the Kindle version of Edges of Science on Sunday, June 21st. This is a truly profound book. You will not be sorry you bought it and Thom will appreciate your participation in this promotional campaign.